What is a SiteBoss Site Controller? The SiteBoss appliance is an intelligent Telecom Site Automation tool for improving efficiency and resilience of telecom sites and networks. The SiteBoss simplifies and centralizes all the data from a wide range of different makes and models of equipment and sensors at your site, giving visibility and control of those systems. The SiteBoss has a modular design to cost-effectively interface to ANY combination of power, security, and environmental sub-systems you have at a remote telecom site. The SiteBoss is easy to set up and work with and uses open protocols like SNMP, RestFUL API, browser-based UI, and user accessible scripting languages. The SiteBoss family is based on 30 years of Asentria solutions to specific customer needs, including multiple projects of over 10000 units. The SiteBoss family of appliances ranges from small, single application devices for managing a single item like generators, to larger devices for managing all power, security, environmental issues and even DC reboot or networking functions in a site. The entire family of appliances uses the same underlying operating system and user interface. If you are familiar with one SiteBoss, you are familiar with any SiteBoss. Asentria Expansion Cards are available to be added to most SiteBoss units. Expansion Cards give great flexibility to match what is currently needed at a site and to give flexibility in the future if site needs change. 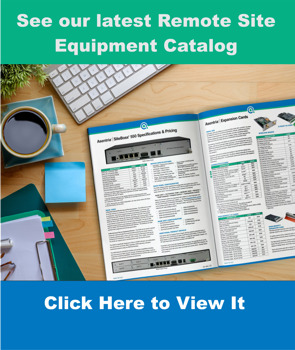 Over forty current cards are available, offering wide mixes of contacts, analogs, relays, and power outputs, as well as communication hardware like Ethernet switches, fiber connections, wireless modems, Wiegand (door access control), HVAC thermostat replacement, and ModBus and other serial communication types. Event Sensors are modular external devices that can extend the functionality of any SiteBoss unit. You can use Event Sensors when you need more functionality than can be placed in an individual SiteBoss base unit, or if you want to put the functionality at a distance from the SiteBoss. Many SiteBoss Expansion Cards have equivalent Event Sensor units that are available, but some specialized functions like DC Reboot and specialized alarm termination blocks are better as external slave devices to a SiteBoss. SiteBoss units belong in telecom sites. Thirty years of experience means we’ve eliminated hundreds of “edge case” problems you can only discover and solve by interfacing to equipment in thousands of telecom sites. 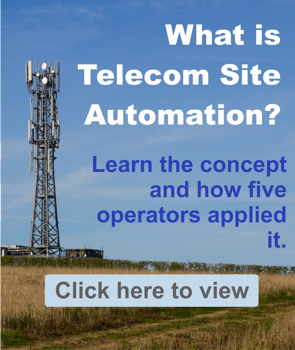 Products not specific to telecom sites introduce many unanticipated headaches. Headaches that are already addressed by the SiteBoss.